The greatest cost incurred by businesses is acquiring new customers. Especially during the early stages, customer acquisition is vital to a company's growth. It is because of this that cold prospecting is essential for growing and maintaining a healthy sales pipeline. However, that is not the end-all-be-all of effective sales pipeline management. Cleaning up your existing sales pipeline may be the easiest way to close more deals. If you’re not already doing so, then you’re likely wasting time by talking to leads with low intentions to buy, or none at all. Before we dive deeper into how you can clean up your current sales pipeline, let’s review its stages. The first impression of your business or product generally occurs through some form of marketing. Prior to making that first contact, it is important to research your target audience to discover their pain points and desires. The first point of contact is considered the beginning of a sales cycle. Once prospects become marketing qualified leads (MQL’s), sales reps will begin to initiate relationship building and seek to further discover specific needs. During a sales cycle, many points of contact are made through different communication channels such as emails, phone calls and text. In fact, salespeople outperforming their peers are also using social selling to close more deals. Your service or product doesn’t serve everyone, and this becomes especially true during the qualification stage. These qualification metrics are defined by the sales department based on who their target audience is. For example, at ReplyBuy, we currently only work with businesses that serve US customers, whether that business is based in the US or not. Furthermore, because our peer-to-peer texting platform and service is conversion-driven, we know that they are better suited for businesses with a minimum audience size of 2,500. We are confident that if a business meets these qualifications, we are able to solve their needs. Therefore, it makes sense for us to establish contact with a decision maker within the company. During this stage, our leads transition into potential opportunities. After the qualification process has been completed, the next step is to schedule a meeting with a decision maker. The purpose of this meeting is to further explain and demonstrate how your product or service solves their needs. At ReplyBuy, we provide product demonstrations that shows our prospects the back-end dashboard of our P2P text messaging platform, and we also show the front-end consumer experience that customers will have. Additionally, we share with our prospects the different ways that they can utilize our texting platform in their industry and explain the multiple benefits that it delivers. This stage is all about education and providing information so that your prospects can better understand your unique selling proposition (USP). After a lead has confirmed their interest in your product or service and wants to proceed to the next step, it’s time to present a proposal. It’s imperative that you set an expectation as to when the proposal will be delivered. Then, make sure to either meet or exceed that expectation. The proposal provides details into product features and services rendered based on that specific customers' needs. A proposal is also often referred to as a quote. During this step, your prospects are in the consideration or evaluation phase of the buying process where they will likely be comparing you against your competitors. At ReplyBuy, we create custom-tailored packages for enterprise clients whose needs might not be met with our standard options. When a launch date has been decided and purchase contracts have been signed, the sale has come to a close. The lead becomes a customer and your goal is now to focus on retention. It's vital to meet or exceed the expectations that were previously defined so that when it’s time to up-sell or cross-sell, the path to conversion will be seamless. For example, at ReplyBuy, we have a post-purchase on-boarding process that includes email, phone and text follow-ups with a dedicated Account Manager. In fact, you should also be utilizing all these three sales follow-up methods so that you can close more deals faster. The extent of this service depends on which plan our customers come in at. Nonetheless, once we seal the deal, we focus heavily on customer retention through relationship building. Businesses that focus on prioritizing customer experience are proven to perform better. With this in mind, we did just that! When we released our second product, our customers were thrilled to hear about it because of the exceptional customer experience we had already delivered. The purpose of this process is to prioritize your efforts towards leads that are reachable and have the potential to be more responsive. For example, you might have previously identified decision makers at a company one year ago, but today, different people might hold those positions. Push back these leads to the first stage of your sales pipeline, do not drop them. Later in this blog post, I'll cover more on why you shouldn't. Run your list through an email verification service to avoid hard bounces and prevent soft bounces. When I first started working at ReplyBuy, the sales department had a backlog of records in the thousands. The database consisted of prospects and leads collected over a few years and they were never segmented or validated. Before pursuing these prospects and leads via email, phone calls or text messages, the first order of businesses was to run an email and phone verification. If you were to send 1,000 emails and over 10% of them bounce, less than 440 of your emails will reach your prospects inbox. You can prevent this by verifying your emails records with a service like Never Bounce. As for phone verifications, we run those internally as it is one of the services we offer to our customers. Doing so allows us to segment landlines, mobile, and invalid phone numbers. We then know which phone numbers we can call and the ones we can only text. This is super important because you want to make sure you're leveraging text messages in your sales strategy. There are several reasons why text messages perform better than email. Two of those reasons are text messages produce 5x higher open rates and 7x higher response rates than email. Identify and sort your leads by the date they were last contacted. Then, you'll want to identify and segment prospects that have been in your sales pipeline longer than your average sales cycle. Establish a buffer of time where you’ll be seeking to initiate the first point of contact with your prospects once again. For example, if your sales cycle averages 90 days, seek to establish contact again 90 days after your first attempt. Sometimes generating interest and initiating a sales cycle with a prospect all comes down to the right timing. Next, you'll want to verify and make sure you’re on schedule to hit your estimated and confirmed closing dates. Be conservative by adding a healthy buffer of 3-7 business days so that you can avoid overestimating your sales forecast. If your opportunity dollar value is too high, maybe it is too optimistic and not realistic. If it’s too low, you might be closer to your goal than you actually think you are. Use your judgment to determine whether some leads should be removed altogether. If the leads are market qualified and they have not requested a removal from your prospecting list, why remove them? Instead, make another attempt to establish contact every time your average sales cycle period has completed. Sort your leads by measuring opportunity cost. Which deals represent a higher opportunity to close versus how much it will cost you to do so? Prioritization may vary depending on what is a more pressing goal at any given time. If your sales quota is not looking healthy for that month, you might want to prioritize deals that are more likely to close but represent a smaller opportunity (new revenue). On the other hand, if your sales pipeline is looking solid and so is your quota, then you might want to go after the bigger fish that are less likely to close but represent a bigger opportunity. Startups usually prioritize closing smaller accounts so that they can safely cover their overhead and avoid going under. Companies in their growth stage have more resources and therefore prioritize bigger acquisitions. Account-based marketing could prove to be more beneficial in the long run due to the potential for longer lifetime values (LTV's). Determine and define a time for periodic reviews of your sales pipeline for prospects that have become unresponsive. For example, if your average sales cycle is 90 days, you might want to make a habit of reviewing your lead database every 30 days, or maybe even every two weeks. A good revision time frame depends on how frequently and how many new leads you are adding to your sales pipeline through your top-of-funnel strategies. These revisions will allow you to avoid prospects lingering in one stage of the sales pipeline for too long. It will also help you identify and re-engage opportunities where you’ve lost progress. 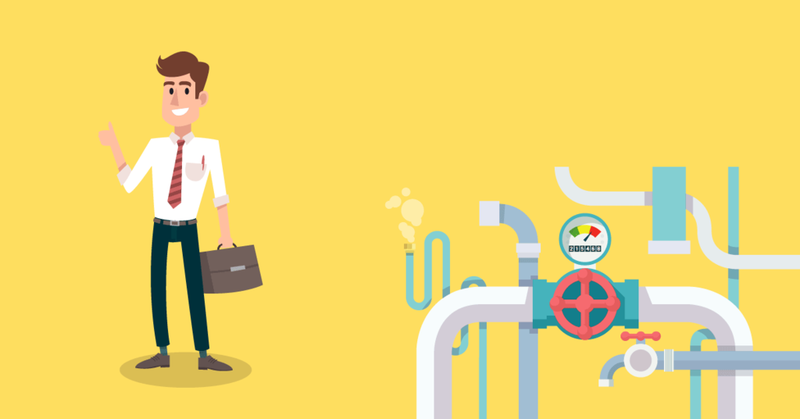 If prospects have lingered around a sales pipeline stage longer than they should, consider purging them and placing them in a different list of “dead leads”. You might still come back to them in the future, but removing them from your main list allows you to produce a more accurate sales forecast. With a pruned list, you’ll then be able to make better decisions when it comes to prioritizing leads that are more likely to close. In order to focus on your best leads, it is necessary that you measure the potential opportunity of your entire database. Odds are, you have spent weeks or months nurturing some leads that are less likely to close than the ones you’re not. Through the process of elimination, you’ll be able to easily identify which leads you should be giving the most attention. Notice how I’m suggesting you segment your dead leads and not drop them altogether. First of all, dead leads are those who have stated they have no interest, don’t want to or can’t be reached. Maybe you’ve established contact with these leads multiple times but no significant progress has been made. They shouldn’t be dropped because decision makers within a company change all the time. A change in leadership from one individual alone can easily bring a dead lead alive. Companies also undergo different stages in their business lifecycle. Your solution might not have been viable to them when you first reached out, but it could be a match 6 months or 1 year down the road. Nonetheless, make a habit of identifying and segmenting your dead leads so that you can focus your time, energy and effort towards leads that are more likely to buy from you faster. Sometimes the simplest changes to your sales pipeline can make drastic differences. By tweaking your lead segmentation and prioritization strategy, you can quickly close more leads and significantly increase conversion rates. Depending on your business lifecycle, this strategy may change over time. Regardless, it is important to know which leads hold a higher priority so that you can focus on producing more results in the least amount of time. Though your product or service may not be a viable solution for them now, who says it won't be down the road? Or when that business has a change in leadership? Clean up and organize your sales pipeline, and you're almost guaranteed to see greater success. Oh, and you should never drop leads. In fact, you should never give up on your dead leads. At least I won't. The last thing I'll do is give up on you :). Want to learn about a more efficient and effective way to reach your leads? Get started with ReplyBuy today.